It’s a question speakers routinely ask at the end of any session. In my experience, it kills the conversation. An irony, because it’s designed to do the opposite. And I understand that. When I go to conferences, I never want to speak up first. It takes me back to the classroom. Why would you want to be the first to put your head above the parapet? 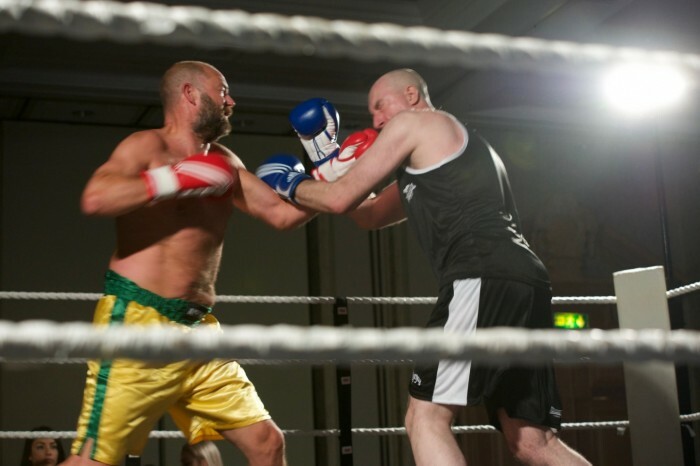 The audience reaction was different with Richard Skerritt, the founder of Skerritts Wealth Management and part-time fund-raising boxer. Yes, that is Richard, above, on the left, during a charity event hosted by his firm. I interviewed him in more serene surroundings, in front of an audience of businesses for the Brighton and Hove Chamber Of Commerce earlier this year. By the end of our twenty minute chat, you could feel that everyone had warmed to him and had no hesitation in raising a hand. Why? Because he was endearingly honest about different aspects of his career. But if you are sharing your personal business back story, people appreciate it if you give examples of how you negotiated the lows as well as celebrating the highs. Particularly if your sector – like Richard’s – is maligned or misunderstood. Let’s face it, financial planning, a.k.a. wealth management, doesn’t always get glowing references in the press. But the moment Richard began, any negative headlines in the minds of the audience melted away. He was upfront about how he had started Skerritts ‘all wrong’. How, in the early days, he used to say to himself, “Come on Skerritt, you got yourself into this mess. Get yourself out of it”. You don’t need to spill all the beans, but sharing some of your trickier moments won’t count against you. People will value the fact that you trust them enough to open up and reveal some of your so-called weaknesses. And they will respond in kind. If you are presenting about your business, don’t worry if you reveal something about the journey that you wouldn’t necessarily put in a press release. People warm to you more and, in content marketing terms, you become more engaging. When you tell a more rounded version of your story, you also become more memorable. I prove the point about the memorability in my next blog post. A discerning member of Richard’s audience explains why his story has stayed with her, several months later. PS. Richard survived his bout. 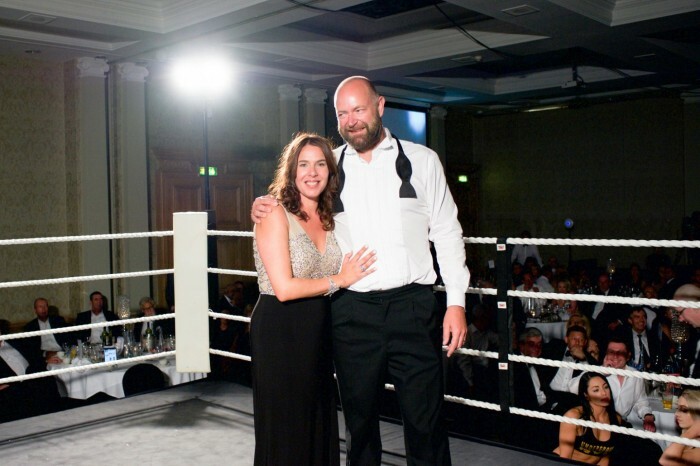 He, and his wife Heidi, deserve to smile: Skerritts raised £91,000 in just one evening. Photos by permission of Skerritts Wealth Management.